*Avoid using with waterproof, flimsy, dirty or saggy cases. **The FAUX styles are made from faux leather, giving it a bit of a stretch and has a soft microfiber inside lining. Products and colors may slightly differ from images. It's amazing how this little item reduces your concern about dropping your phone wherever you may handle it and keeps it secure in your hand so you can do much of your work with just one hand. Love it. Absolutely LOVE my LOOP!!! Not sure how I've managed without it before but I can't see me going on without it on my phone ever again. I love my Loop, makes holding my Samsung Galaxy way easier and I don't have to worry about dropping my phone. It's my phone security blanket. I recommend it to everyone! Your smartphone is a mobile office, a camera, a messaging and networking device that holds important memories and sensitive information. The average mobile users handle their device at least 100 times per day… Protect it today! 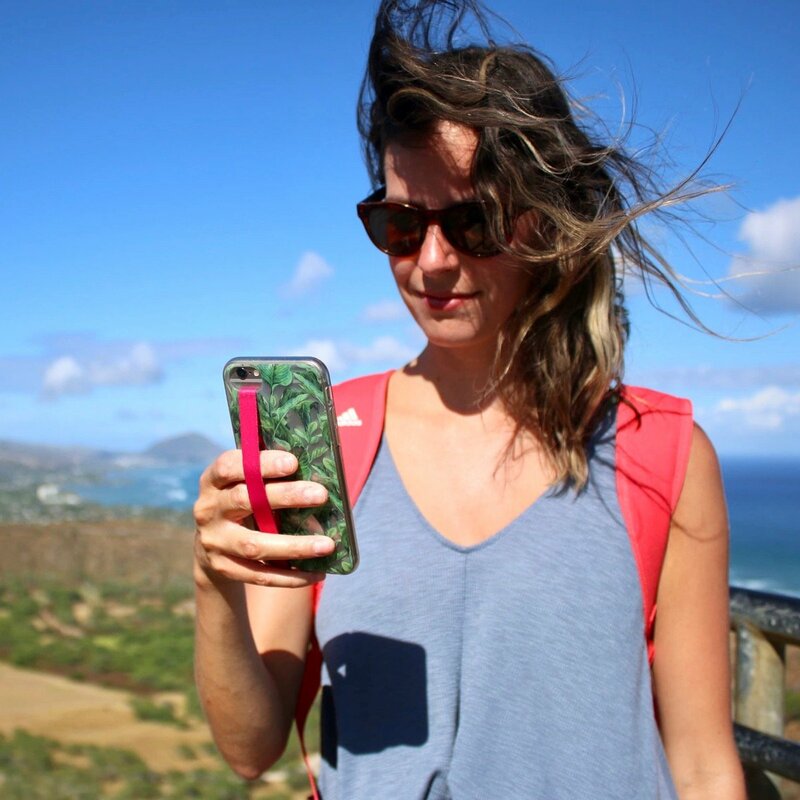 Loop is more than an innovative mobile accessory, it will forever change the way you handle your smartphone. Show your colors through a one-handed, secure grip. Our high quality fabrics and stainless adhesives developed in partnership with world-leading 3M ensure our Loops’ reliability. Our laboratory tests show up to 55 pounds of pull resistance! 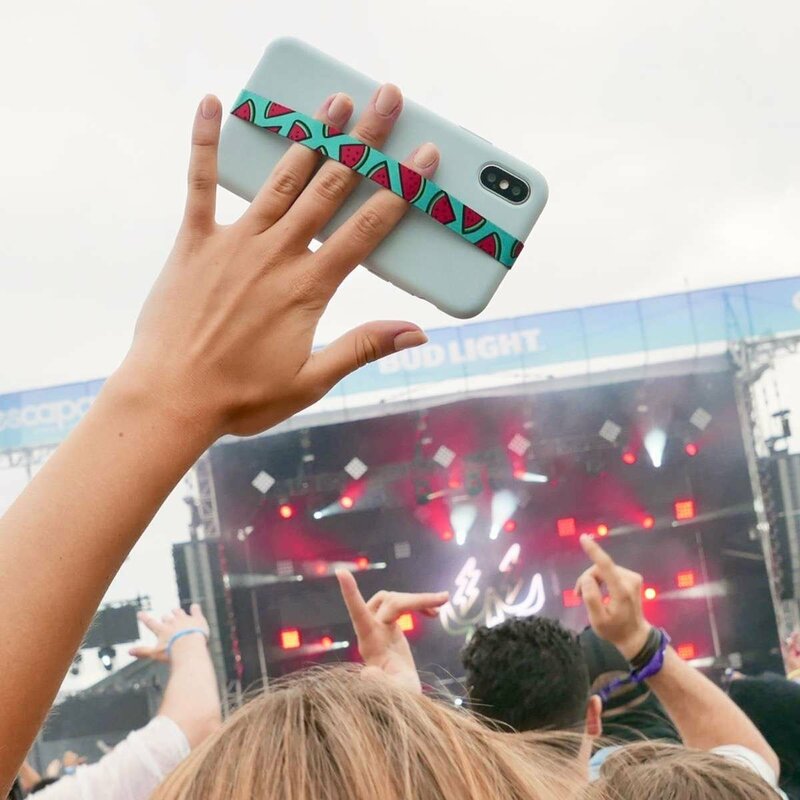 Our Loops are made to fit with all smartphone cases. Thanks to our minimal design, Loop is the only unobtrusive solution for an intuitive grip on any smartphone. Your smartphone is an indispensable extension of yourself that needs to be protected. A few bucks spent on a Loop can prevent $500 repairs and priceless data loss. Pass the end of the Loop through one of the openings in the case, usually the power port. Put the phone back in its case, et voilà! You got Looped! You can adjust the length of the hanging Loop by sticking the adhesive lower or higher. Case and device required. Our special Loop adhesive leaves no mark. Now adjust to desired tension before sticking the other end of the Loop inside the case. You can stick the Loop back onto itself to avoid sticking it inside the case. You could also pass the Loop through any opening, including the wide one for the device.